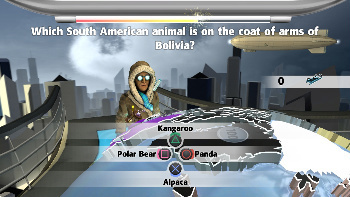 Conquer the globe and test your knowledge in National Geographic Challenge for Wii. Read Kidzworld’s game review for all the details! Journey across the planet as you explore 36 territories across six continents. There is over 60 minutes of video and amazing images straight from National Geographic. You can challenge your family and friends in fast paced quizzes or compete to conquer the globe in Explorer mode. In Quiz mode, you can play alone or with friends. Fascinating facts, funs games and quick fingers combine to determine who knows more about the planet. To begin Quiz mode you will be asked to choose a region and the length of quiz. You can also choose the difficulty. Points are awarded for speed and accuracy, so it is important to answer quickly and correctly! In Explorer mode, compete to explore more of the planet than anyone else. It will put you up against quiz questions, puzzle-based mini-games, anagrams and a huge variety of challenges. 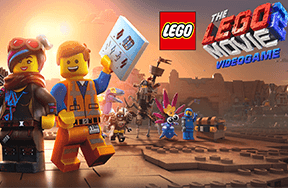 In this mode you can select a character to play with: astronaut, deep sea diver, mountaineer, polar explorer, treasure hunter, mariner, time traveller or aviator. 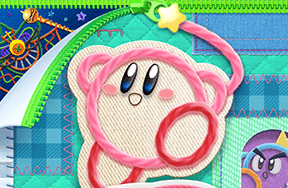 Each character has special abilities that will help you throughout the game. When you start Explorer more a screen will show you the number of points required for victory. The globe is split into six regions, each containing six territories. 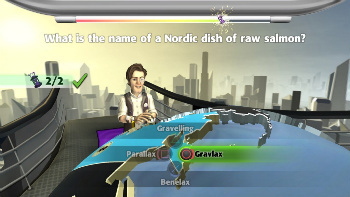 During gameplay you will move your player across the globe, exploring territories. Each territory will add points to your total score. Your goal is to collect enough territory points to win the game, either by exploring neutral territories or conquering other players’ territories. 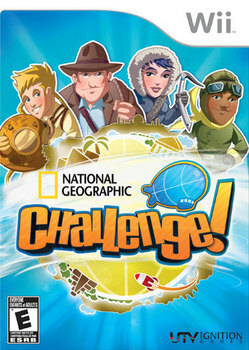 Even if you aren’t a geography whiz, you will still enjoy National Geographic Challenge for Wii. In fact, you will learn some cool information along the way. The fun puzzles and mini-games are full of interesting facts about different cultures and places around the world. You’ll be a world class explorer in no time! Have you traveled anywhere exciting? What things were different than your city or town? Leave a comment and let us know about your adventures! Disneyland or some other amusement park. At home with my Playstation 2.